After hanging with Cornerstone University in the Wolverine-Hoosier Athletic Conference tournament, the University of Michigan-Dearborn basketball team had to watch from afar as the Golden Eagles made a long run in the National Association of Intercollegiate Athletics National Championships. The Golden Eagles ended the season as the Division II men’s basketball runner-ups after falling to No. 1-ranked Union (Ky.) 72-69 in the national championship game. “It’s not really surprising to me that Cornerstone made a run in the national tournament,” said UM-Dearborn head coach Taylor Langley. 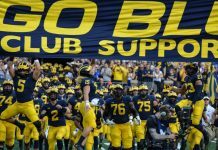 It was a bittersweet ending for the Wolverines at home watching. On one end, the team wants Cornerstone to do well as they act as a reflection of the Wolverine-Hoosier Athletic Conference. On the other hand, the tournament run stings when the Wolverines knew they were close to being just as good of a team. For Langley, the biggest telling of how strong the WHAC was came from a performance from Aquinas College in their loss to eventual champion Union. Aquinas College was tied with UM-Dearborn and Indiana Institute of Technology in the fourth-place slot with all teams at 13-9 in the conference, but tiebreakers knocked Aquinas down to sixth. Cornerstone finished 34-4 overall on the year to the top spot in the WHAC. Davenport, a team that the Wolverines swept this season, finished second in the conference at 24-9. 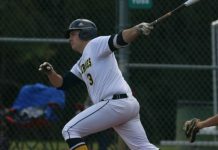 Six teams in the WHAC finished with winning overall records and only three teams failed to reach double-digit win total. 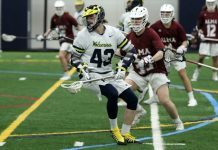 Even the Wolverines fell victim to a strong team near the bottom of the conference when Marygrove College upset the Wolverines in Dearborn. Langley said losses like those likely prevented his team from a chance to make a run at nationals. 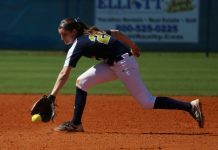 Langley was asked whether Cornerstone’s run in the national tournament eased the sting of their WHAC semifinal elimination. “No,” he answered quickly. “It never is. It actually hurt a little worse, because I realized how close we were. He said that the team will go about researching new coaching strategies and playing cleaner ball for a chance at the tournament next year. “With Jason (Penn) receiving honorable mention All-American; him coming back next year brings a lot of excitement,” Langley said. 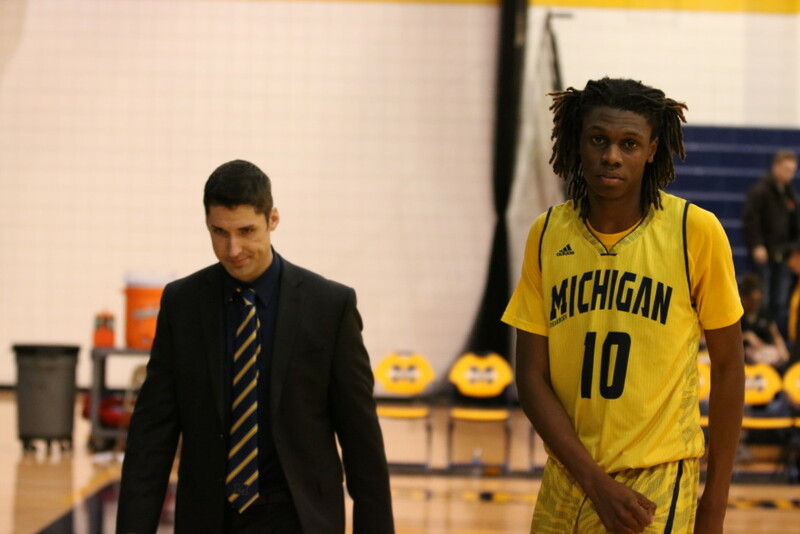 While the Wolverines will lose All-American honorable mention forward Marcus Williams to eligibility, freshman Cody Kegley impressed in his debut season with the team. The club will also bring in a new class of recruits, highlighted so far in shooter Chase Vander Klay from Wyoming High School in Grand Rapids, Mich. Vander Klay has won the state’s 3-point shooting competition a record three consecutive years.